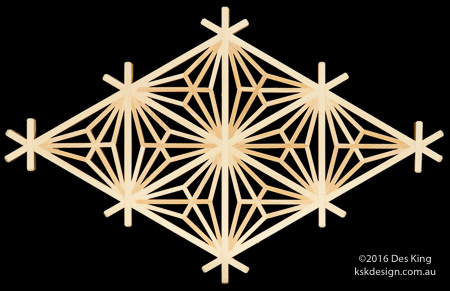 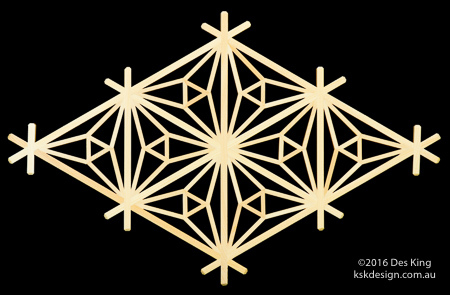 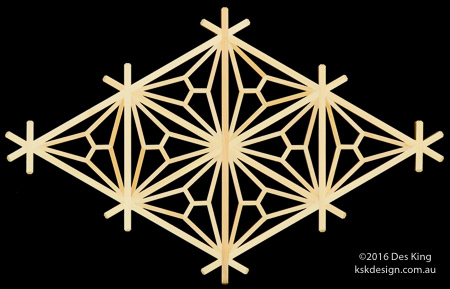 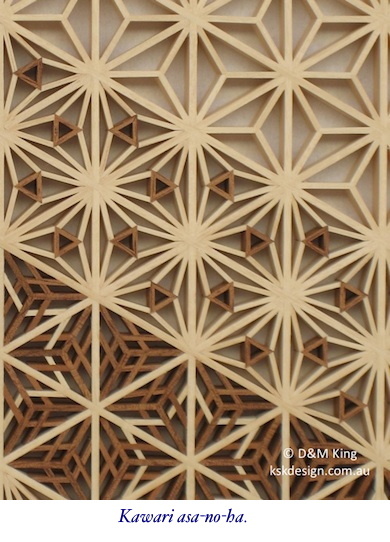 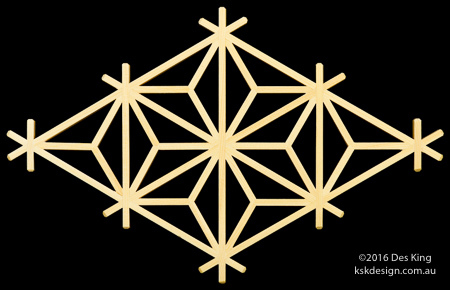 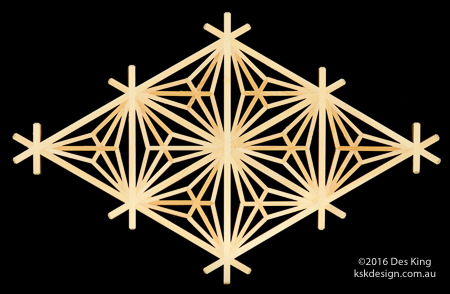 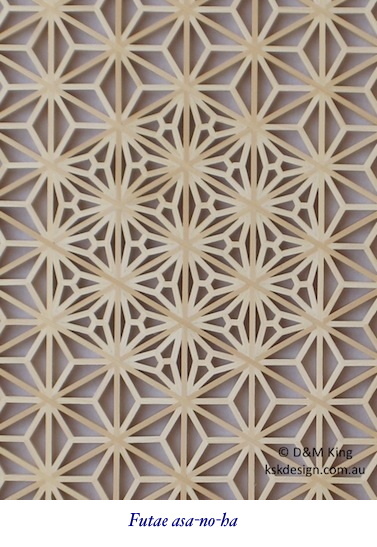 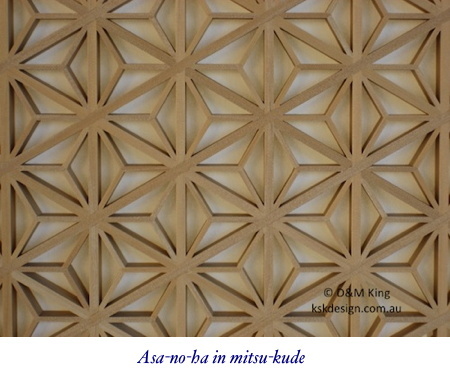 The asa-no-ha is perhaps the quintessential floral pattern of the hexagonal tortoiseshell kumiko formation. 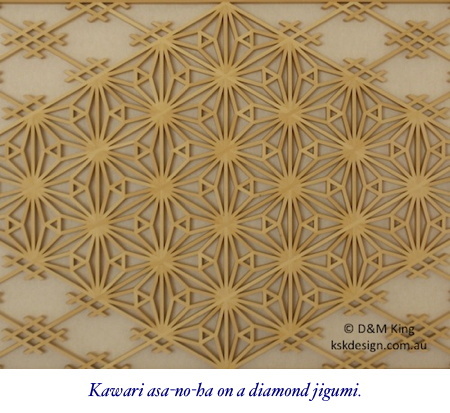 It can be used to great effect in the diamond pattern, with a vertical central piece to divide the diamond into two equilateral triangles (as can be seen in the second image), but more commonly, it is used in the three-way joint. 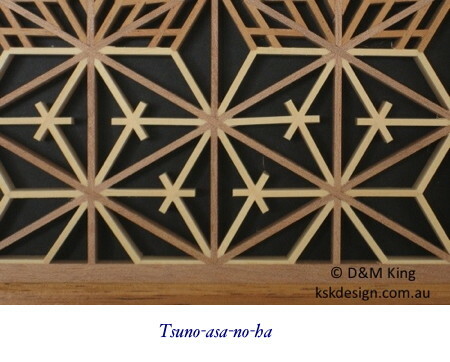 As with the square asa-no-ha, the asa-no-ha here can be cut in three different ways — ori-mage, genkotsu, and jaguchi. 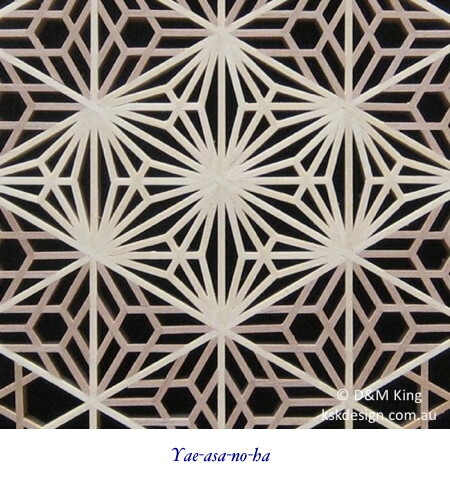 It forms the basis for the following asa-no-ha variations. 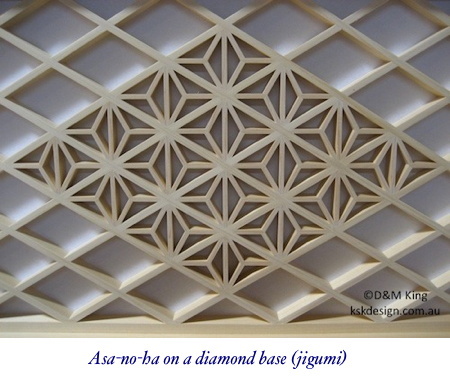 Examples of all these patterns can be seen in the photos.